For as long as I can remember, on my parents’ basement wall there’s been a simply framed one-page handwritten letter. The paper is a light shade of blue with University of North Carolina letterhead printed at the top. It’s largely unremarkable; if I didn’t point it out to you, your focus would be drawn nearby to a picture of my tuxedoed father, posing for the cover story of a novelty Forbes magazine. But if you looked closer at the letter, you’d see two words in the lower right hand corner that make all the difference to our Tar Heel bred family: Dean Smith. 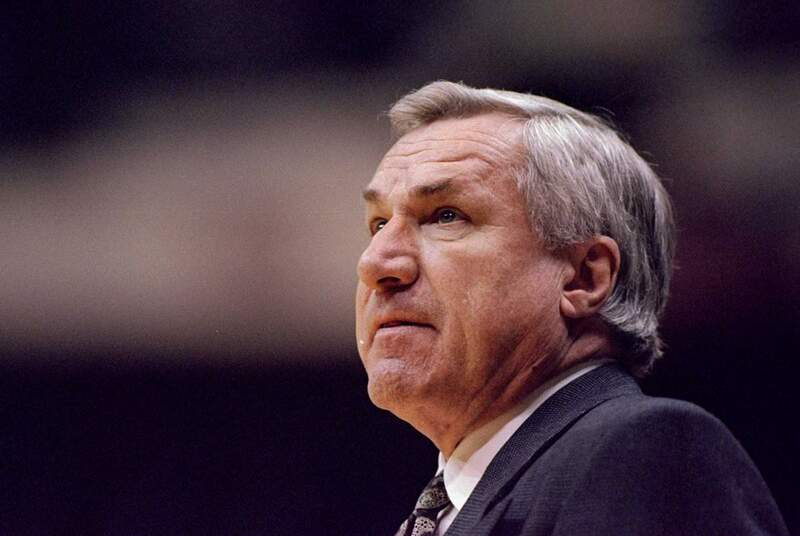 Years ago, when my mom worked as an executive assistant for a small company in Rocky Mount, NC, she set up a meeting between the company’s executives and Dean Smith–the Dean Smith. Being a huge UNC fan, she was ecstatic to get a chance to meet and speak with the legendary coach. A few weeks later, she received a letter in the mail from Coach Smith himself. Not from his secretary, with a signature rubber stamped at the bottom of a typed form letter, blandly thanking my mother for her support, but a fully personal letter, thanking her for setting up the meeting, referencing their conversation in detail–all in his actual hand writing. This letter quickly became a prized possession, and is the closest thing my family has to a holy artifact (the Shroud of Tar Heel). Over the years, that letter has always stayed with me. Not because of its place on my family’s walls, but because of the reason it was written at all. Coach Smith believed everyone he met had importance, regardless of what they could do for him. I still hear stories from fellow colleagues in the sports world. About how they had met him once and, many, many years later, as they passed by each other in the halls of some gigantic sporting arena, he said hello to them by name. He didn’t have to write my mom a letter: lord knows I wasn’t a potential recruit; she wasn’t a big dollar athletic donor; we weren’t even season ticket holders. He just believed that everyone was worth knowing. That everyone was worth his attention and respect. That strong personal belief was probably a powerful motivating factor in his political activism for civil rights. He believed everyone was worth something, well before the US government, or even the majority of his team’s fans, did. He was also famous for his staunch dismissal of attention: for a reunion of his ’82 Championship team at the Smith Center (you know, the place with his name on the outside), we basically had to lie to him, telling him he wouldn’t be singled out during the ceremony before he agreed to be a part of it. After he was introduced to thunderous applause, he proceeded to wave off all of our cameras putting him on the video boards. Coach Smith didn’t crave attention–he outright rejected it. Coach Smith was the first to tell you he was just an ordinary man. But he was wrong about that. He wasn’t just a man.